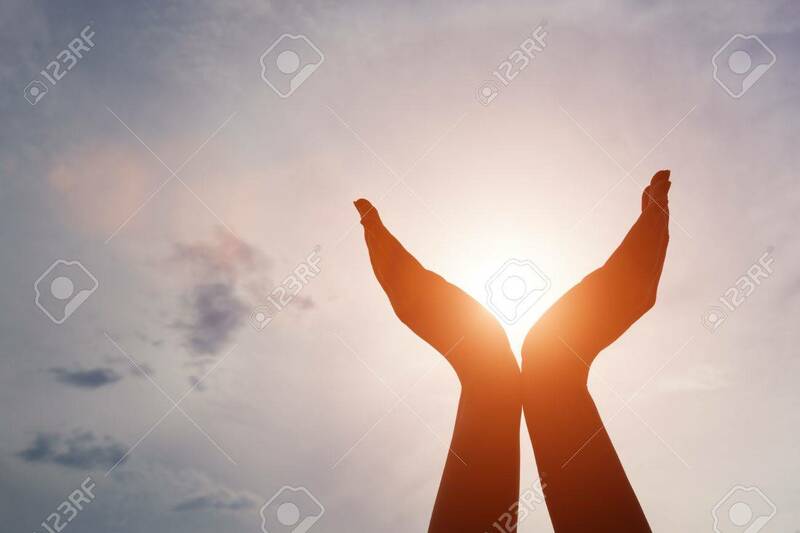 Raised Hands Catching Sun On Sunset Sky. Concept Of Spirituality,.. Stock Photo, Picture And Royalty Free Image. Image 61713064.